In 1978 Creator returned to the Black Ark to re-record his in 1968 in Randy's Studio recorded song, "Such Is Life". One of the highlights of the '70s Black Ark era now finally available again on 12". 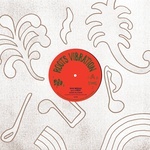 Vinyl Sleeve; Licensed from Lee Scratch Perry; Remastered by Equus; Edition of 500. Grooovy reggae tracks from 1977, from Eric Donaldson and The Upsetters, produced by Lee Scratch Perry. Vintage Vinyl Sleeve; Licensed from Lee Scratch Perry; Remastered by Equus. 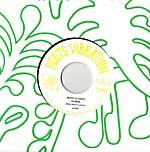 First time 7" release of late '80s roots tune by the brothers Ruffy & Tuffy. Previously only available on the album Climax. Released in Sweden in 1988. 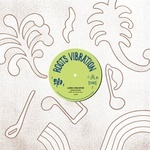 Roots Vibration present a reissue of Jamaiel Shabaka's The Land Of The Rising Sun, originally released in 1988. Heavy roots reggae album by the avant-jazz horn player. 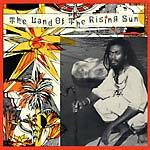 With its unusual jazzy/improvised sonic essays among straight-up heavyweight roots tracks, saying that The Land Of The Rising Sun is an unusual-sounding reggae album is an understatement: after all, who in the reggae world improvised for days on end with Sun Ra? While living for two years near Kingston, Shabaka recorded his only but very personal album, using the studios from friends, including Sugar Minott. Shabaka delivers healing vibes and meditations, bringing an African jazz sound into the Caribbean groove and creating a unique reggae sound topped with conscious and positive lyrics. Before embracing his Caribbean heritage, Jamaiel was a radio DJ at a college radio station in Long Beach, played with jazz drummer Alex Cline and on never-released Sun Ra albums. Growing up with Pharoah Sanders and John Coltrane, plus Yoruba and other types of African-Latin-Cuban sounds, Jamaiel started practicing the saxophone, and the clarinet, all the while gravitating towards the more radical sound of Archie Shepp and Byard Lancaster. Shabaka became a radio announcer at the California State University, Long Beach, KLON, now KKJZ (or KJazz) from the early '70s on. For years, the aspiring radio DJ and the master had been exchanging letters, with Sun Ra growing familiar with Jamaiel's skills at the horns. Shabaka went to Philadelphia and ended up playing on at least three never-released, private press Sun Ra albums. In 1976, introduced by Woody "Sonship" Theus, he met avant-garde jazz drummer Alex Cline. From playing regularly together came the idea to turn the live Cline/Shabaka Duo Infinity project into an LP (1977). In the years to follow, Jamaiel would carry his heavy jazz luggage over to the greener pastures -- at least spiritually, if not monetarily -- of reggae. Since the recording of The Land Of The Rising Sun, Jamaiel has been involved in various projects at a school and various cultural centers in the Los Angeles area, mixing traditional teachings and yoga, presenting music and playing flute, and overall being busy as a family man. Recorded and mixed at studios such as Hit City West (LA), Channel One, and Music Mountain (Jamaica). Layout by Jeroen Wille. Includes a bonus track. Remastered by Equus; Comes in a gatefold sleeve; Liner notes by Seb Carayol; Edition of 500. 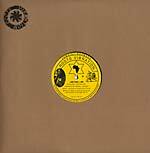 First time 10" release of this killer roots reggae tune, Jamaiel Shabaka's "Armageddon", with a dub on the flip. Recycled cardboard discobag; Remastered by Equus; Digital transfer by Penguin Recording; Edition of 500. Reissue of this rare and killer roots reggae 12", Jamaiel Shabaka's I Am That I Am, originally released in 1986. 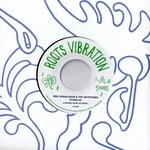 Spiritual roots on a heavy digital riddim. Finally available again on vinyl. Recycled cardboard discobag; Remastered by Equus; Digital transfer by Penguin Recording; Edition of 500.